Doctors are trying to save the leg of a 14-year-old boy, after a large rock fell on him at Kever Shmuel Hanavi. 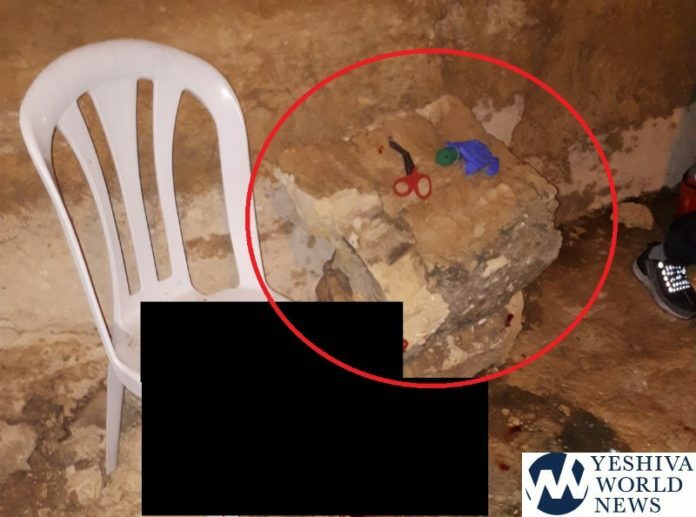 United Hatzolah say that the horrifying incident happened on Thursday night at the Kever, when the boy was climbing or trying to sit on a stone wall, when suddenly, a massive piece of rock fell off, knocking the boy down. The large rock fell on top of the boy, pinning his leg underneath. He was rushed to Hadasssah Ein Kerem Hospital, where he was brought into the Trauma Unit. Doctors immediately took him into emergency surgery, where they are working to save his leg. He is listed in serious condition. The boy is reportedly is the son of the Chabad Shliach to Philadelphia currently on a visit to Eretz Yisroel. this is a very sweet boy! I was really freaked out that this was at the actual building and wondering how it could have happened, but from the video it looks like it was actually in the archaeological site right outside the building. There are signs up on certain parts saying not to enter, however it’s not really fenced off so anyone could just walk in if they wanted to. Such a shame… please be careful in such areas and excessive extreme common sense if not over caution! !